The Sony Xperia Z and the Samsung Galaxy S4 both have mono loudspeakers. On the Galaxy S4 it's located near the bottom of the back panel, while on the Xperia Z it is awkwardly placed in the bottom right corner of the phone, meaning you can easily cover it while watching a video or playing a game in landscape. Partly due to the phone's water resistance perhaps, the loudspeaker on the Xperia only managed to post a Below Average score in our test. You'll hear the phone ring when it's on a desk in front of you and the vibration will make sure you'll feel it in your pocket, but if you carry the device in a purse or bag missed calls are likely. After we tested the water resistance, the loudspeaker sounded muffled - perhaps down to a wet membrane. Sony says this is normal but it did take about an hour and a half for it to get back to normal. 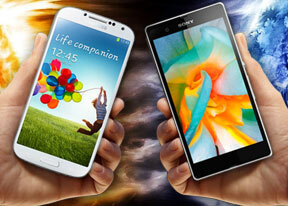 The Samsung Galaxy S4 scored a Good mark, outperforming the Xperia Z notably on every test we did. Winner: Samsung Galaxy S4. Clearly, it is the louder device. The Sony Xperia Z has pretty good audio output. 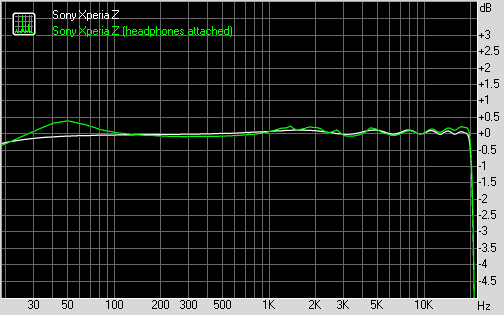 It did very well when connected to an active external amplifier and it didn't degrade too badly when we plugged in a pair of headphones. However, the Sony flagship is no match for the Galaxy S4 - it had a cleaner output than the Sony smartphone. 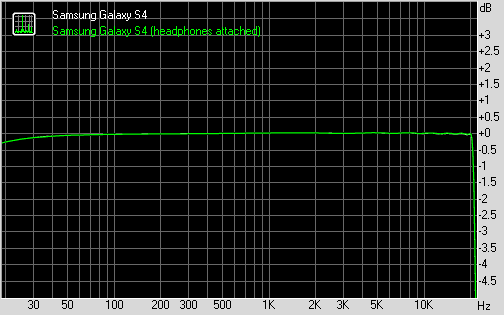 While the two are on par when attached to an active external amplifier, the Galaxy S4 output had virtually no degradation when we plugged in a pair of headphones, while the Sony Xperia Z took a hit to its stereo crosstalk and let some distortion creep in. The volume levels of both phones are on par. Winner: Samsung Galaxy S4. The Xperia Z is not that far behind its rival here, though, and for most purposes the two can be considered on par.